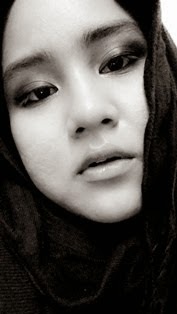 What So Sizzle Bout Sizzling Suzai - Malaysia Fashion, Travel and Lifestyle Blogger: JUMP STREET ASIA KL : What To Expect? 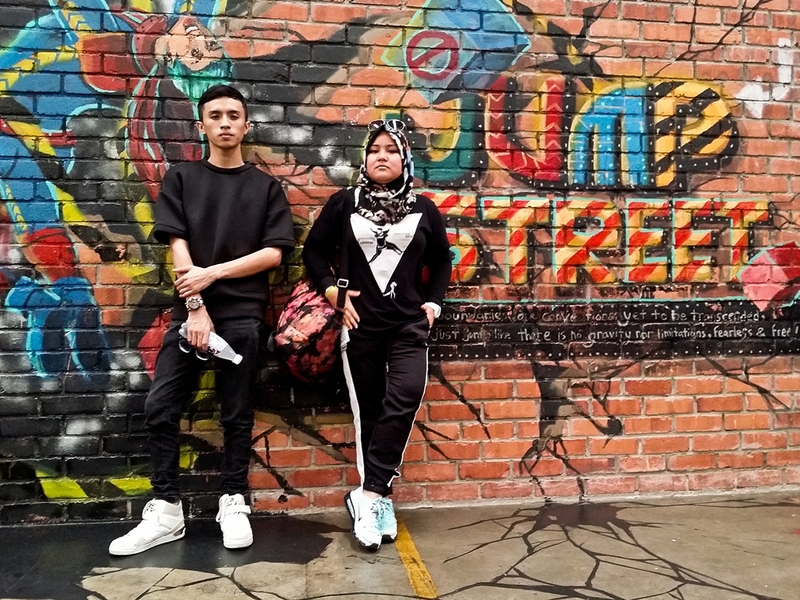 JUMP STREET ASIA KL : What To Expect? No. 8, Jln 13/6, 46200 Petaling Jaya, Selangor, Malaysia. 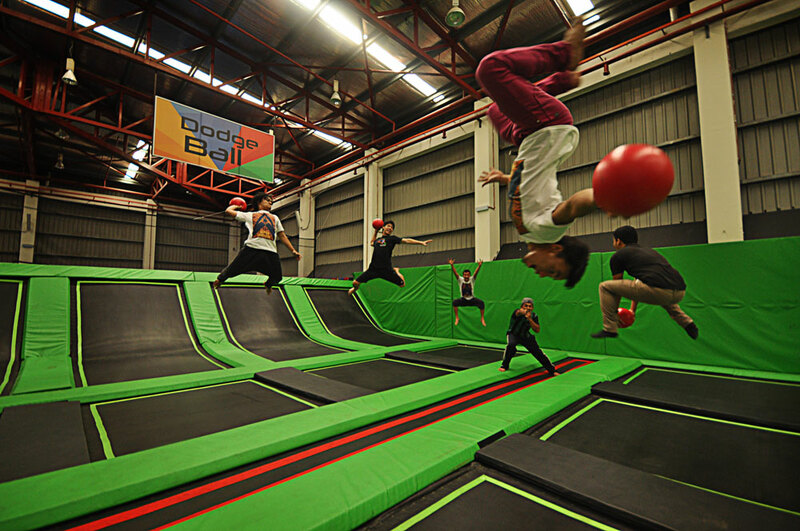 The first and the Largest Trampoline Park in Asia, Jump street is here in Malaysia! one is located in Kuala Lumpur and another one is in Penang. Jump street park is an amazing urban playground for adults and children alike, with hundred interconnected trampolines from the floor right up the walls. Providing 8 attractions and over 100 trampolines under this one roof! The biggest and the highest action space with over 9,000 square feet of interconnected trampolines. jump from mat to mat and bounce your body off the walls. perhaps practice your parkour moves here! its more like free-and-easy area in here. Indeed, this is the BEST part. definitely different from the traditional dodge ball as this trampoline dodge ball will test your balance, reflexes strength and extremely dehydrating! HAHA because you will need to run while jumping from mat to mat and in the same time beware and attacking back those enemies. what an adrenaline rush game! Wanna feel like an NBA star? fly through the air and slam dunk that basketball! yup another favourite of mine HAHA because i was so dying to try it once i saw the real game long time ago! and well who doesn't enjoy basketball? got 3 goals and 1 is a bit lower to suit the children's height. Specially for your little one as young as 3 years old. Now everyone can jump! HAHA ok im so sure your kids will love to bounce from mat to mat. but please note that for safety reasons children under 3 must be accompanied by a paying adult at all time and will only allowed to jump in The Cage. 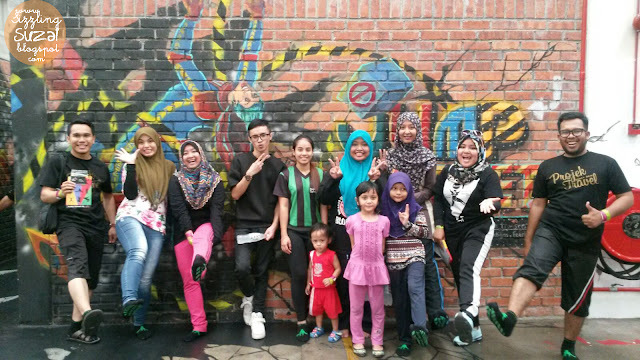 Meet my blogger buddies from left Azhari, Kak Rara, Ida, Iqmal, our instructor Lia, Kak Diya, Kak Hanim, Me who is looking so fatty and stupid lol and Madi. we're missing Abg Hafiz in here. it was seriously fun knowing and 'playing' with you guys. hehe thanks Kak Diya bucuk macam and insyAllah till our next meeting yar guys! dah lama teringin ke sini. tak ajak. fine!